« Bernanke speaks, and markets go wild — what next? 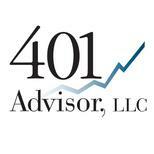 At 401 Advisor, LLC one of our three investment strategies for our client assets is a model that primarily uses dividend paying stocks to produce cash flow. Dividends can be paid out to clients for income, or reinvested to provide portfolio growth through the purchase of additional shares. The one disadvantage of choosing a strategy that narrows the investment options (only stocks that pay dividends in this case), is that different subsets of the overall market will both outperform and underperform the entire market for different periods. From the beginning of May through the end of June was one of those periods of underperformance for dividend paying stocks. Not only did we see underperformance, but we also saw uncharacteristic volatility. I wrote about this on my post on June 21, “Market Comment“. This is when having a strategy that fits your investment goal is important. Matching strategy to objective allows us to focus on what is most important to our clients. In this case, income and preferably rising income. I looked at 17 of our portfolios’ top holdings. While this would not necessarily represent any individual’s portfolio, every one of our Dividend and Growth Opportunity strategy investors will hold several of these stocks. For the averages I just used a simple average and looked at stocks only, none of the ETF holdings. I first looked at each holding’s price performance from May 1, 2013 open through the close on June 21st. I then looked at the first dividend paid in 2013 and the most recent and annualized the two to look at the difference. Taking a simple average the “portfolio” has a year to date price gain of 4.17%, but a loss of 4.67% from May 1 through June 21. For an investor on January 2nd, the portfolio yield would have annualized to 4.57% for the year based on first quarter dividend payments. But based on the most recent dividend payments, the annualized yield would be 4.69%, a raise of 2.56% (annualized to 5.12%). Plus dividend stalwarts McDonalds and Verizon typically raise dividends in the third quarter. With official inflation running at about 1.5% our income investors have received a nice raise in return for the volatility we’ve seen this year. In fact our largest loser in the portfolio, UHT has actually increased its dividend from $0.62 per share to $0.625 per share. Relatively small, but showing that a yield increase is not dependant on price appreciation. For a retiree especially, income and income growth are their typical primary investment objectives. Well chosen stocks, based on free cash flow analysis, will continue to pay, and as we’ve seen actually increase dividend payouts, even in declining markets. Despite recent weakness and some continuing uncertainty over rising interest rates, a focus on dividends is a long term profitable strategy. 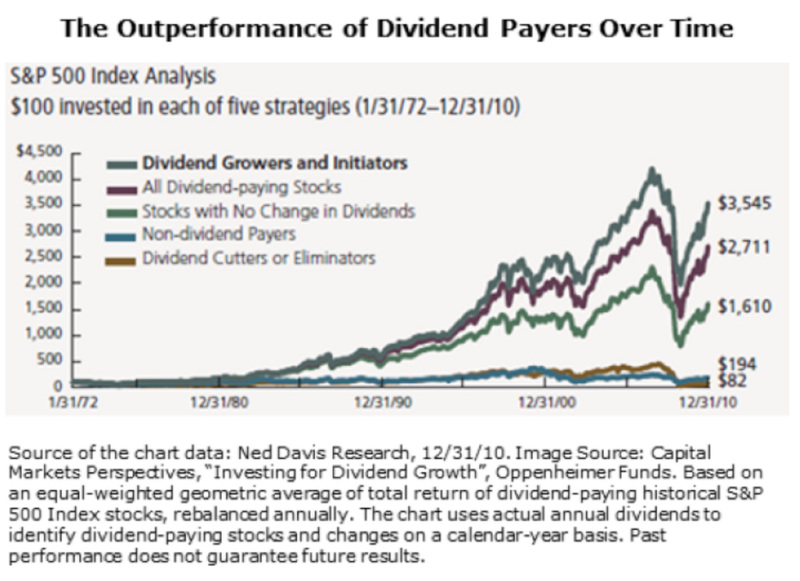 Below is a graph from Ned Davis research that shows that dividend paying stocks, and specifically stocks that increase their dividends outperform the overall market. good options that provide automatic portfolio diversficiation. is a choice that some do as well.